The International Annual Review demonstrates our achievements and reflects the insights and expertise professionals bring to client relationships. As I talk to senior executives from leading companies around the world, I consistently hear about the need to respond effectively to the challenges and opportunities that market disruption is presenting. Companies are confronting rapidly-changing demands and regulatory environments which are affecting their audit requirements and business models. KPMG has been working directly with clients and stakeholders to help assure the ‘Value of Audit’, and in every corner of the world, we are helping organizations transform their businesses. At the same time, we are also transforming our own business. How we do this over the next few years will be critical to our ability to continue developing innovative solutions to help clients address their most challenging issues. We are ambitious, and have a challenging vision that will help ensure we continue to grow with our clients’ needs and expectations. Our performance demonstrates that in the short-term, responding to changing market dynamics, the network has been able to accelerate growth while continuing to make significant investments in new products and services. In this year’s Annual Review, we highlight some of the important steps we are taking to ensure that KPMG brings market-leading innovations and world-class professional services to clients around the globe. We have enhanced our governance to help ensure that we can quickly respond to changing market developments. We are collaborating globally on more strategic priorities than ever before, and doing this in a way that is driven by innovations across our practices. The unique strength of our organization and brand has proven to be critical to our success and ability to serve clients seamlessly and consistently across geographies. The significant investments made over the last five years are paying off. All three of our functions saw growth over the prior fiscal year, with Advisory leading the charge (overall Advisory revenues increased by 10.4 percent), driven by particularly strong growth in Risk Consulting (12.3 percent), reflecting the more challenging risk environment our clients now face. In the 2014 financial year, KPMG recorded growth of 6.3 percent (in local currency terms), and set a record with global revenues of US$24.8 billion. This is a significant increase in our growth rate over 2012 and 2013, and is a testament to the success of new services, enhanced capabilities and service delivery improvements achieved over this period. In Audit and Tax, we and our clients face a number of challenges. We are working with clients and regulators to respond to EU audit reform and other regulatory changes to audit. We remain committed to constantly improving the KPMG Audit. We are now in the second year of our multi-year, multi-million dollar initiative called ‘Dynamic Audit’. We are continuously innovating our audit approach, including the expanded use of technology, data and analytics (D&A) and our ‘Lean in Audit’ methodologies, which was recognized as ‘Audit Innovation of the Year’ by theInternational Accounting Bulletin. As the global debate over tax morality, fairness and the responsibility of corporations around the globe to pay their “fair share” continues, I am proud that KPMG’s Tax leaders have continued to engage in this debate and champion the principles and policies which govern the tax advice we offer clients. One of the challenges is that tax systems generally reflect a regulatory environment that, in a number of ways, has not kept pace with the speed of change in business and, more importantly, ways of doing business in the digital economy. As the marketplace evolves, so do the challenges facing our clients. Companies are looking for more effective ways to capitalize on the opportunities that are created by these challenges. KPMG is focused on harnessing the breadth and depth of our network, geographically and functionally, to develop market-leading solutions to help companies address their most pressing challenges. Uncertainty in many forms continues to be an issue for the companies we serve, and our Risk Consulting practice has been at the forefront of helping clients prepare for and deal with this ever-changing environment. Companies today need an enterprise-wide perspective that helps them better navigate from strategy to transformation and implementation. 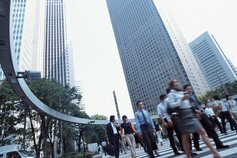 KPMG continues to aggressively invest in Management Consulting and Strategy services and solutions, which bring together our unique methodology and our leading strategy consultants, including fresh insights from recently hired and acquired talent. The disruption caused by new technologies is creating challenges that many businesses are not prepared to tackle alone. KPMG is developing and acquiring new services and products which enable us to help clients find solutions to these challenges across all areas of their business, including D&A, technology and supply chain management. KPMG Capital**, a new investment fund created to accelerate KPMG’s investments and acquisitions in D&A businesses and capabilities, has built a strong presence in the field. We were delighted to announce its first investment in Bottlenose - a leading trend intelligence company using real-time streaming data to help identify and anticipate trends. We believe KPMG Capital, which is aligned to the needs and interests of technology innovators, will continue to generate significant and scalable opportunities for KPMG. A large part of our current and future success depends on recruiting, training and retaining the world’s top talent. Around the globe, KPMG is an employer of choice. In many key markets our employee turnover is at record low levels, and our employee engagement scores reached record highs during this past year. We are committed to providing the best opportunities for graduates and experienced hires. In 2014, we hired over 54,000 new employees, more than 18,000 of whom were new graduates. In October, we brought together our most diverse new partner group ever, welcoming over 500 newly-promoted partners from over 50 countries. KPMG remains a leading choice for graduate talent, and we were proud to be voted in Universum's ‘World’s Most Attractive Employers to Work For’ poll of around 200,000 degree students. Our commitment to, and the impact we have in the communities where we live and work, is central to KPMG’s core values. We encourage and support all of our people in taking time away from work to support local initiatives that are important to them. We also have a number of important programs that we support around the world and you can read more about these in the Citizenship section of this report. I was especially proud of how the KPMG global network rallied to support those affected by Typhoon Haiyan in the Philippines. We signed up to support families affected by the typhoon, and raised over US$1 million in immediate relief. Education is a key priority for KPMG and we support educational programs from early childhood through to university students and graduates. This year, we saw the expansion of the KPMG Families for Literacy Program, bringing the total number of countries involved to eight, including the UK and South Africa. KPMG International has been a signatory to the 10 principles for the United Nations Global Compact (UNGC) since 2002 and is one of the 50 inaugural members of the UNGC LEAD program, which outlines actions through which businesses around the world can achieve greater sustainability. KPMG is built on a foundation of quality, trust and world-class collaboration. We take these qualities with us into everything we do and our professionals realize the responsibility that we have to uphold the values of our organization, established over our 140-year history. We also know that our responsibility goes far beyond the companies we serve. Our people are acutely aware of the role they play in ensuring trust and integrity in every business interaction for all of our stakeholders. We are committed to ensuring that we inspire confidence in clients and the broader capital markets. We also recognize, as a responsible business and a leading provider of professional services, our obligation to empower change for the companies we serve and in our communities. It is an obligation we fulfill by, for example, being a trusted voice in emerging economies such as Myanmar, supporting literacy by providing 2,000,000 books to schools, and helping to develop the next generation of business leaders through competitions like Enactus and the KPMG International Case Competition (KICC). KPMG has a clear vision of what we want to achieve as a network. We have taken important steps to ensure that KPMG continues to deliver market-leading, world-class professional services that are aligned with the changing needs of our clients and global markets. For me personally, it is a privilege to represent the KPMG network and I would like to thank all 162,000 of our people for their tremendous efforts over the last year. I am excited about what we can achieve together and I see innovation and new ideas aligned to a strong sense of purpose in every corner of our business. When I meet our people, I am amazed at their commitment, not just to their clients, but also to their colleagues and their communities. I believe it is our culture that truly differentiates us from our competitors. Every day our people do extraordinary things, they go above and beyond to ensure the work they do at KPMG inspires confidence and empowers change.